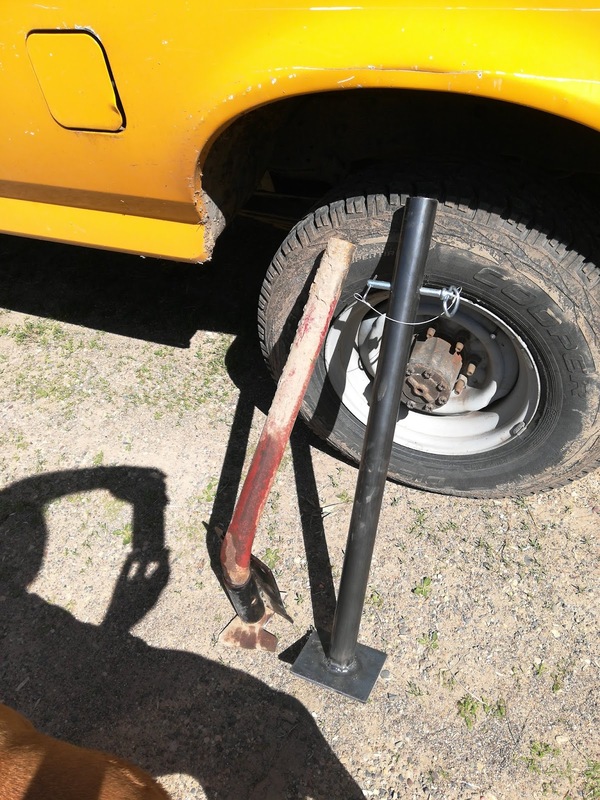 I also had to fix the rotary hoe stand, which slipped through its mount on the hoe while I was using it a few days ago. 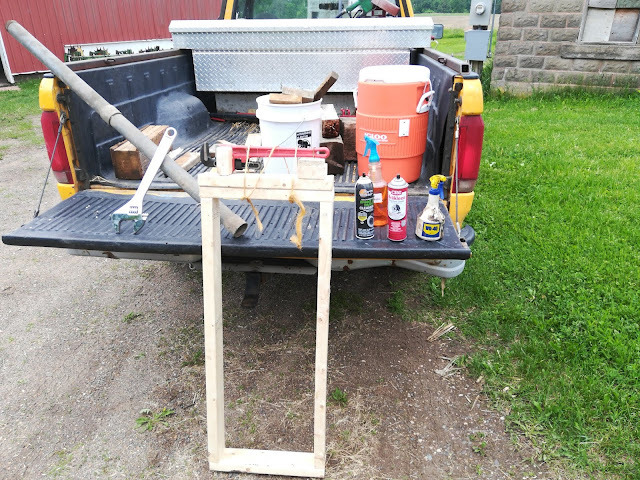 (When not attached to a tractor the stand has the flat plate on the ground. When using it behind a tractor, I invert it and put it in the same sleeve.) I didn't hear a thing, and am lucky that it didn't wipe out entire rows of corn. Fortunately it bent in such a way that it didn't hit the implement either. 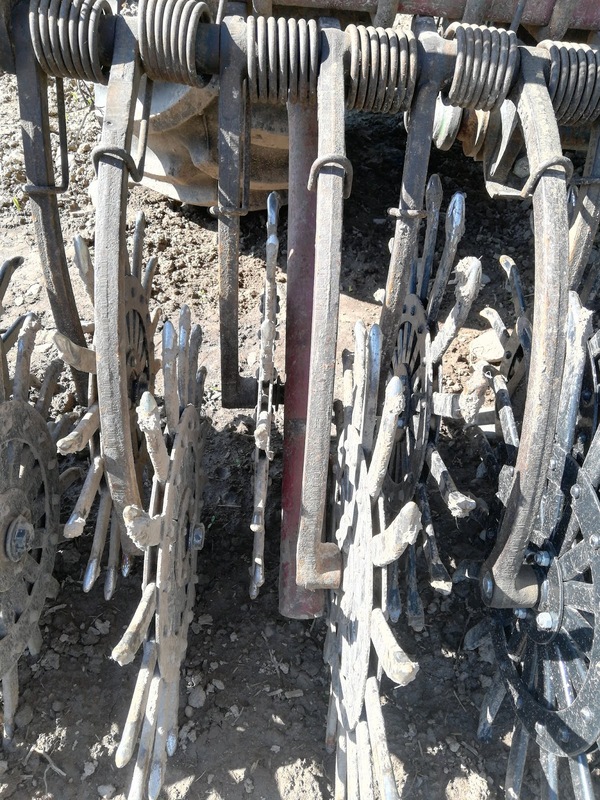 The culprit was a faulty cotter pin, which came off allowing the hitch pin to work itself out. Then the stand hit the ground. I took the bent stand off the rotary hoe and made, then installed, a new one. Dad and I got all the grass waterways and buffer zones, around 8 acres in total, planted on June 1st. A handful different types of grass, either alfalfa or clover, with oats to act as a nurse crop. My 61 acres of organic corn is up, it looks like I've got good germination. The rows are pretty, the little plants are 1-3 inches tall, and the weeds are almost non-existent. 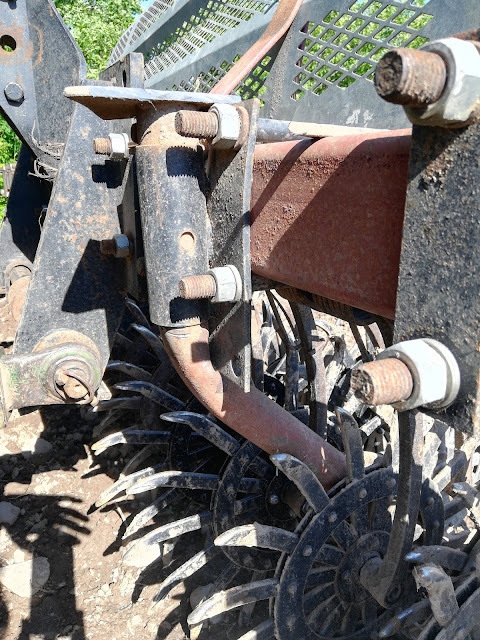 I'll rotary hoe it 2 more times in the coming weeks, timing my field work as the rain and weed pressure dictate.